is an attorney licensed to practice in New York and New Jersey. He was a graduate of University College at Rutgers in 2009 and Rutgers School of Law-Newark in 2013. During his college years, Mr. Patel who entered through the EOF program, was a highly decorated student leader, serving as the University College Student Government President for two years. In this position, Mr. Patel served on the University on the Middle-States Accreditation Committee, University Budget and Finance Committee, Rutgers-Newark Honorary Degree Committee, and gave the student commencement speech for the Newark College of Arts and Sciences & University College, Class of 2009. The video can be seen here, .Mr. Patel also participated in University Greek Life by joining Sigma Lambda Beta, International Fraternity Incorporated. In 2010, Mr. Patel had served as United States Senator Cory Booker’s Correspondence Secretary in City Hall in Newark during his term as Mayor. There, Mr. Patel operated and managed the correspondence system for the Mayor’s Office, which included oversight of the Mayoral signature. He assisted in drafting and maintaining a uniform political message for the administration. Mr. Patel held daily private meetings with the Senator to draft correspondences and manage policy issues. In 2011, he joined Volunteer Lawyers for Justice under its prominent division, Newark Re-Entry Legal Services (ReLeSe). Here, Mr. Patel assisted Essex County residents tackle recidivism rates among ex-offenders who struggle to re-assimilate into local communities post-conviction. In 2013, Mr. Patel served under the Hon. Sherry Hutchins-Henderson, J.S.C. as a Law Clerk in the Superior Court of New Jersey. 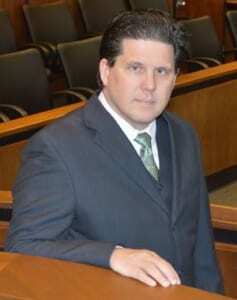 There, he assisted the Court in managing motions, appeals, and trials touching upon criminal matters in Essex County. His responsibilities including drafting and briefing the Court with bench memorandums and proposed opinions. Mr. Patel worked with the Court during multiple high-profile trials where charges included homicide, drugs, weapons, and robbery. In 2015, Mr. Patel worked with E. Waters & Associates as a foreclosure litigation associate. Here, Mr. Patel assisted homeowners and investors in keeping their homes and modifying their loans. Mr. Patel also assisted the firm in complex litigation matters including those issues that dealt with the Attorney General of both New York and New Jersey. Mr. Patel is currently a Partner at Patel & Soltis, L.L.C. is a graduate of Rutgers School of Law and an admitted attorney in the State of New York. Mr. Soltis’ practice focuses on New York Employment Law disputes for Employees, Probate Matters, Bankruptcy, Foreclosure Defense, and Civil Law Suits. Mr. Soltis also has an MBA in Management Systems with an International Business Designation from Fordham University Graduate School of Business and a Master of Science in Information and Communication Systems where he specialized in System Dynamics. While at Fordham Mr. Soltis graduated in the top 10% of his class and was enrolled in Phi Kappa Phi the Collegiate Honor Society and Beta Gamma Sigma the Business Honors Society. Mr. Soltis’s undergraduate degree is a BBA from the University of Houston – Downtown, in Computer Information Systems. Mr. Soltis has spent several years in the eDiscovery industry working on the technical and project management side of many cases for many Fortune 1000 companies while working with attorneys from some of the largest legal firms in the world. He has managed business units for multiple Fortune 500 companies with responsibility for sales in excess of $18 million while managing a budget of over $1.5 million. Mr. Soltis is deeply involved in volunteer work. He has volunteered for many other organizations, including: Bowery Mission, the American Red Cross, Essex County Law Day, and the Domestic Violence Advocacy Project in Newark. He has also worked as a Street Law teacher in Newark while in Law School where he taught at the Essex County Juvenile detention center and the Alma E. Flag Middle school. is a graduate of the Rutgers University School of Law and an admitted attorney in the State of New Jersey. Since graduation, he has held various positions in the legal field. Currently, he works at Patel & Soltis, LLC, in Jersey City, New Jersey. In his new legal career, Lazaro takes pride in assisting clients in various legal matters, from foreclosure defense to immigration issues. was to work with lawyers and legislators to assist Freehold Borough schools obtain funding for a school expansion. 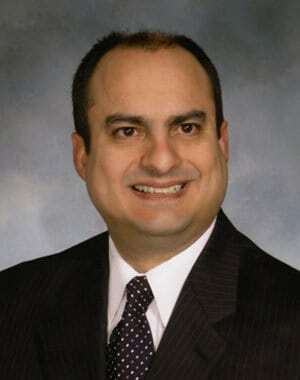 Prior to his law career Lazaro worked in the financial services industry from 1991 till 2014. For 18 years he worked as Director of Information Technology at Prudential Insurance Company of America where he managed a team specializing in engineering technical solutions to solve business problems. Jason Bost has worked extensively in the legal industry assisting clients with family court matters, juvenile criminal matters, adult criminal matters, plaintiff (student) side special education litigation, intellectual property issues and business development and start-up projects. He has created and developed original business plans for non-profit and for-profit entities, assisted with securing project funding as well as provided project management for both domestic and internationally focused projects. Working in the recording industry for almost 20 years, he has spent most of his time working on urban music projects, traditional and digital marketing, A&R consulting, and project management. He represented management clients on projects with Jay-Z, Beyoncé, Usher, Mos-Def, Kanye West, Carl Thomas, Ja-Rule, Lil Wayne, DJ Premier, Fat Joe, DITC, Dipset, G-Unit, Murder Inc., Bad-Boy, and many others. Jason also worked on Grammy award-winning and nominated projects, Emmy award nominated projects and received numerous RIAA certified Diamond, Platinum, and Gold recordings. He also represented clients and worked on projects for television networks such as HBO, Comedy Central, Showtime, VH-1 and worked on shows like Def Poetry Jam, the Dave Chappelle Show, and the Ali G Show.